This is the place where my silly things happen. I take photos of myself. Everyday. And talk about myself. Everyday. And take photos of other stuff. Sometimes. It is because I don’t know what to do with my hands. I am strangely obsessed with ancient technology, West Bromwich Albion FC, my cats, substituting hotdogs into recipes that don’t call for hotdogs, Neil deGrasse Tyson, this website, talking like an old man, and punching “people” whilst in the guise of Larry Jenkins. I’m also the Prime Minister of a small and sovereign nation called Lippincottonia. 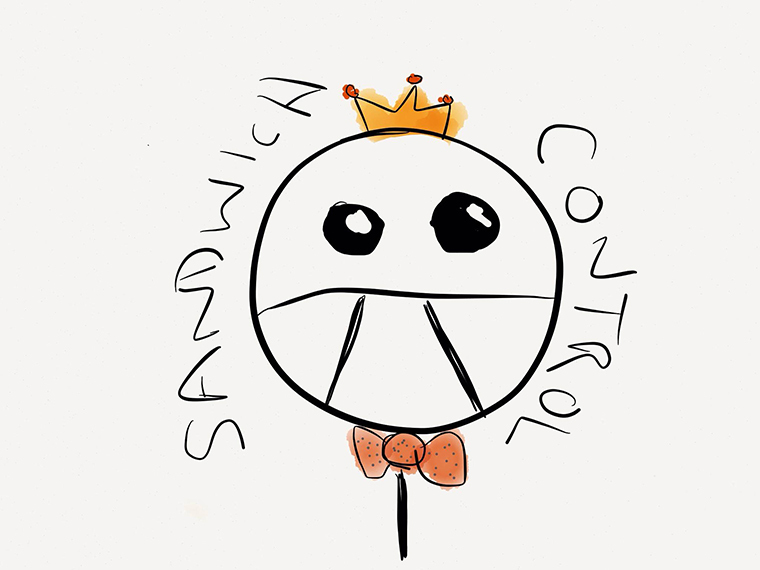 Feel free to contact Sandwich Control via elecronic mail at : sandwichcontrol at gmail dot com. Or search for Sandwich Control on that FaceBook, YouTube, Tumblr, Instagram, Flickr, and Twitter. If you can’t find us there, you’re probably doing it wrong. Just send us an email.